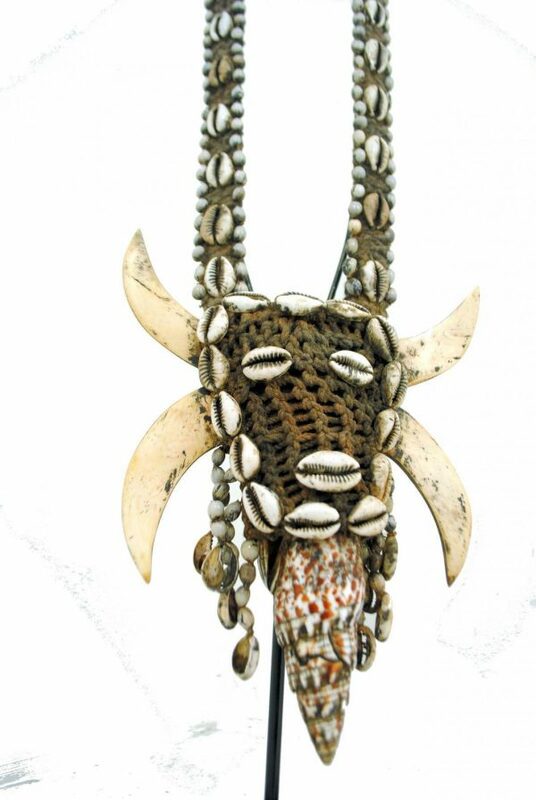 This necklace is an ornament from one of the indigenous tribal groups from West Papua New Guinea. The string/rope is handmade from a plant fiber and it is adorned with shells and natural materials. 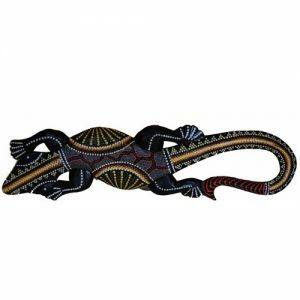 As with many items from the tribal groups of New Guinea, it is difficult to put an age on this piece. It is an interesting ethnographic artifact and can be used for display and can also be worn as a necklace. The island of Papua New Guinea is divided. The Western side is a province of Indonesia and was created from the western portion of Papua province in 2003, initially under the name of Irian Jaya Barat, and was renamed Papua Barat (West Papua) in 2007.